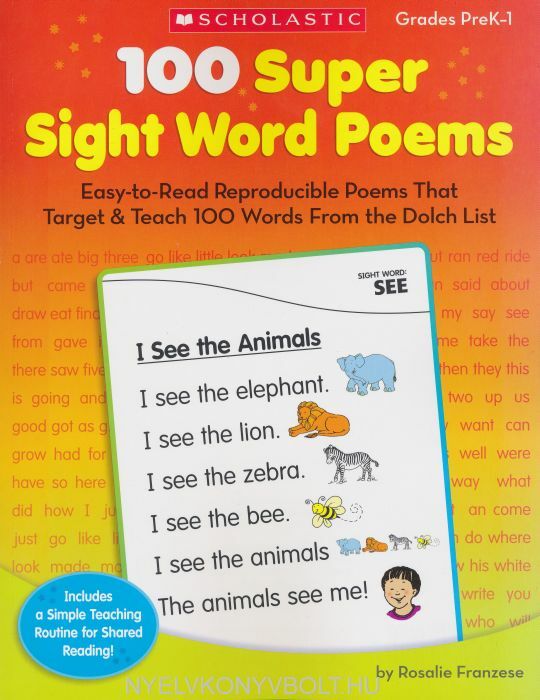 Set the stage for young learners to become able readers, writers, and spellers with these just-right poems that teach 100 key words from the Dolch list! 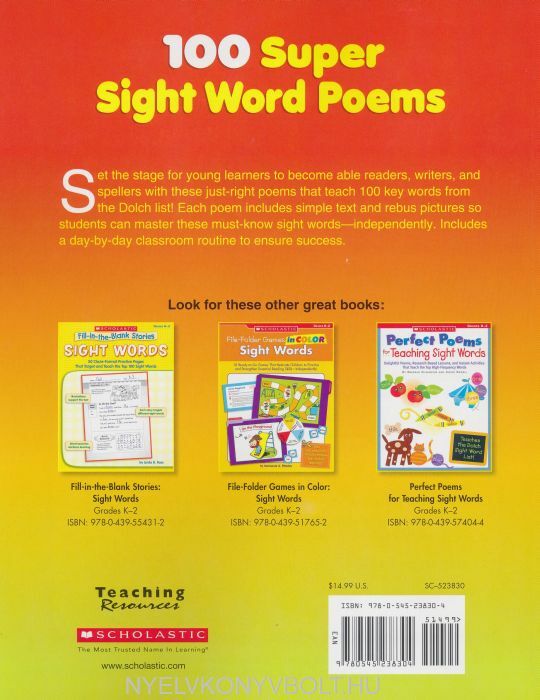 Each poem includes simple text and rebus pictures so students can master these must-know sight words--independently. Includes a day-by-day classroom routine to ensure success. For use with Grades K-2.